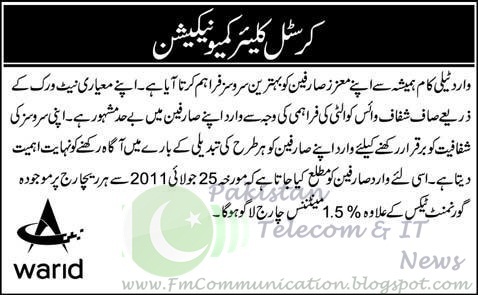 Warid has announced to charge 1.5% Maintenance Charges from July 25, 2011. Warid today published following public notice in newspapers. Ufone, Mobilink, Telenor and Zong are already charging these Maintenance Charges / admin fee.